Lost Canyon is a medium to dark toned hickory hardwood floor in the Medallion Collection by Naturally Aged Flooring. It has a rich depth which gives any room an expensive high-end look. 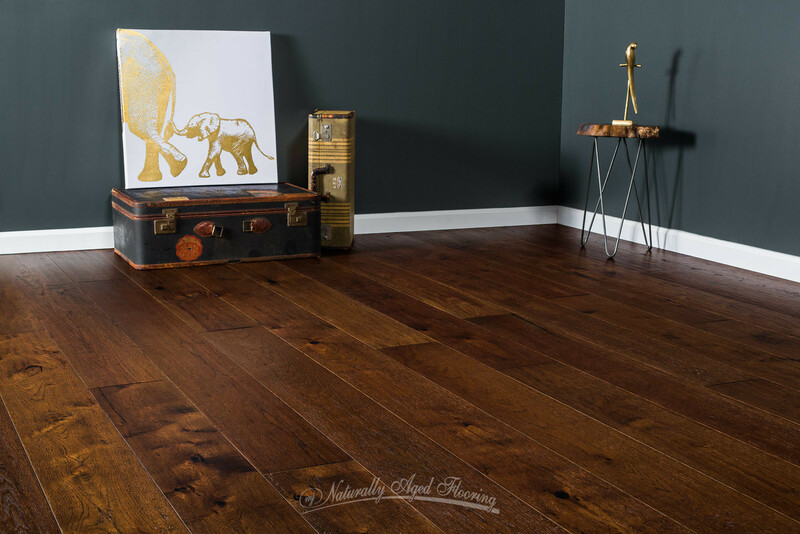 Even with its darker tones throughout, this hickory floor does have some lighter boards that give an elegant look when installed. 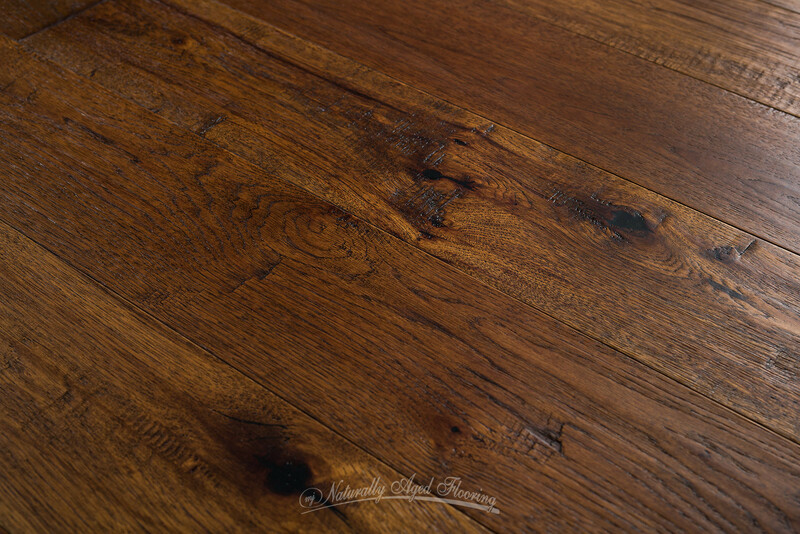 Lightly hand scraped with a medium amount of wire-brushing and a good amount of chatter, Lost Canyon's distressing gives this flooring exceptional character while remaining smooth to the touch. 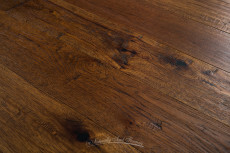 This beautiful hardwood has mid-sized knots with a black filler which adds interest to the grain. It's durable wear layer is finished with a low sheen UV lacquer. Whatever one's style, Lost Canyon is a perfect starting point. Contemporary style with its neutral elements, tone on tone texture and pops of bold colors make this an easy choice. Modern Traditional having a neutral palette, iconic pieces and geometric shapes, or Asian with its dark rich colors, patterned upholstery and blue and white ware would all look wonderful with this medium toned floor. Even a serene Cottage look with its cozy, elegant approach, soft, neutral, simplistic style and rich, vibrant hues as accents, offering a nice contrast, would also be perfect. With this versatile floor and its wider boards, the impression is less busy allowing any design to take center stage. There's a sense of pride that comes when one's home looks and feels unique and personalized. 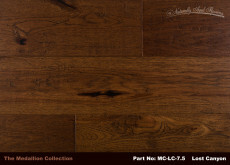 Feel at home with Lost Canyon hickory wood flooring.